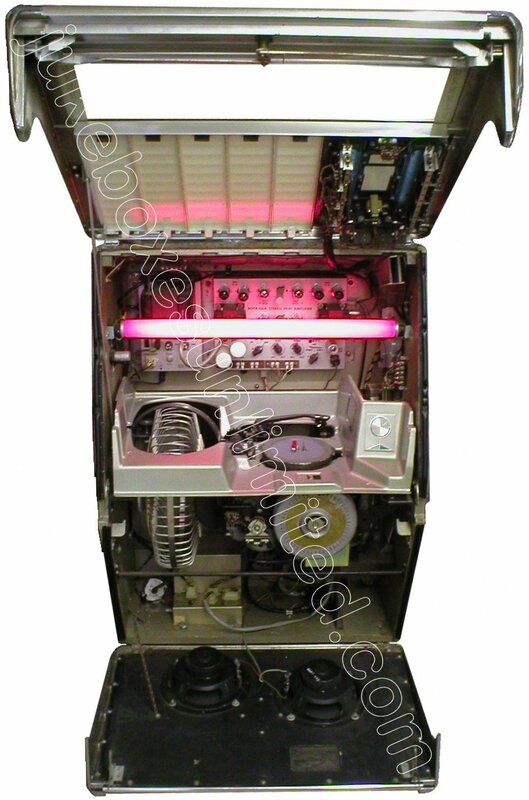 This is one very rare machine. 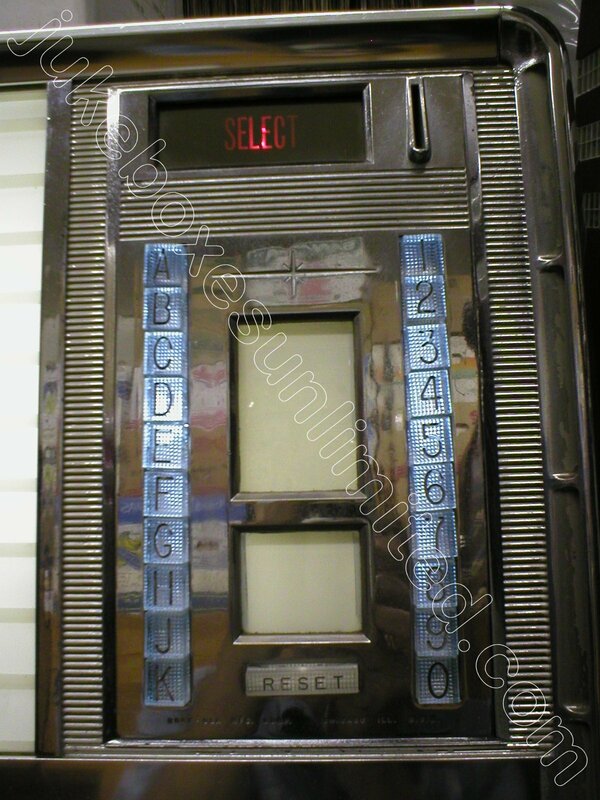 We believe Rockola was the only jukebox company that ever made wall mount 45 - rpm jukeboxes. There were three models produced in 1958, 1962 and 1965. 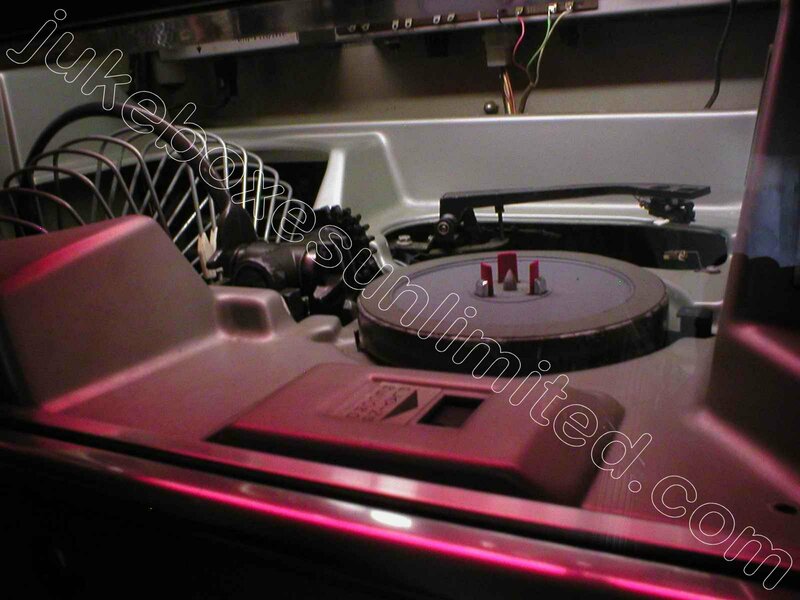 We've sold more than 15,000 jukes since 1971 and have only seen 3 of them up close. We now own 2 of them. 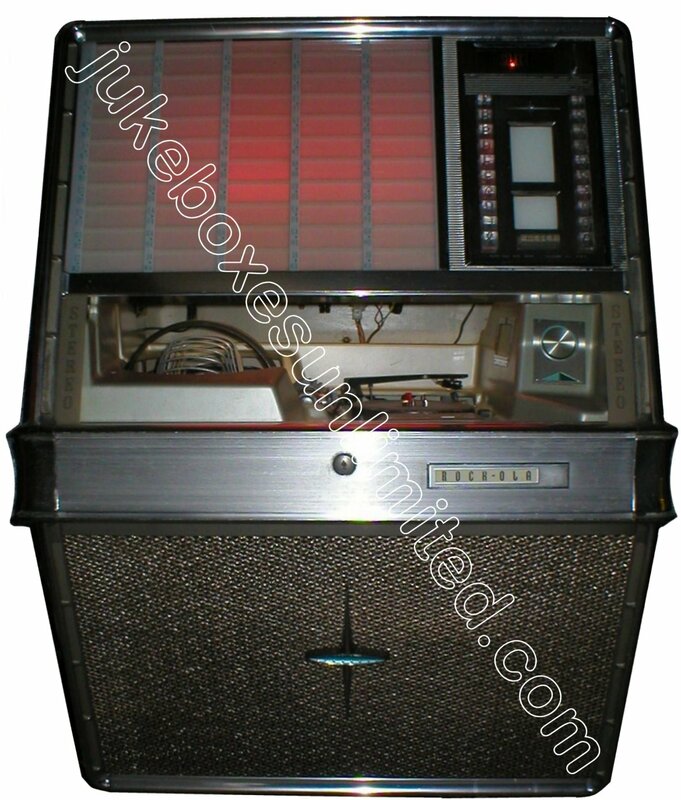 This jukebox is fully contained with amplifier and speakers enclosed. It holds fifty 7 - inch records and playing both sides is 100 selections. 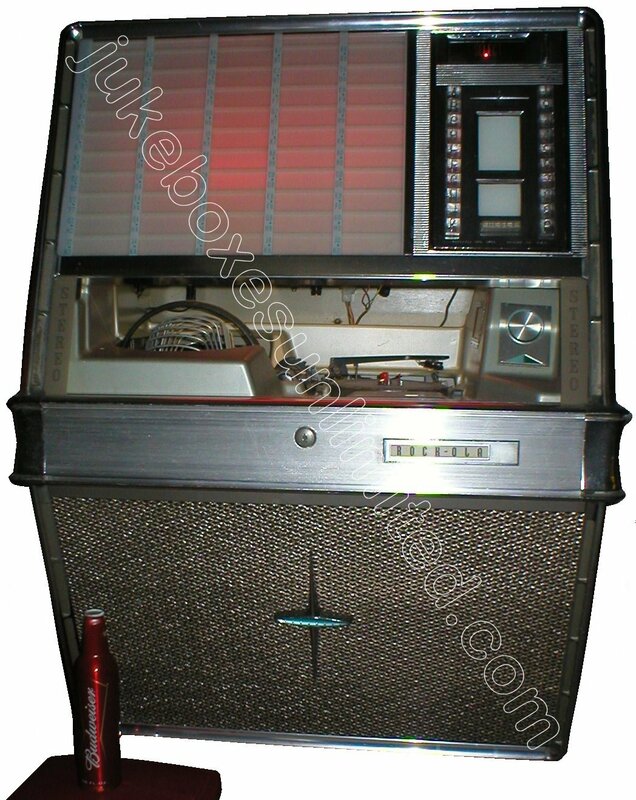 The nifty part is if you have any of the "little LPs" or "Compact 33s" made from 1960 through 1971, they will play as many as 6 tunes per disc. 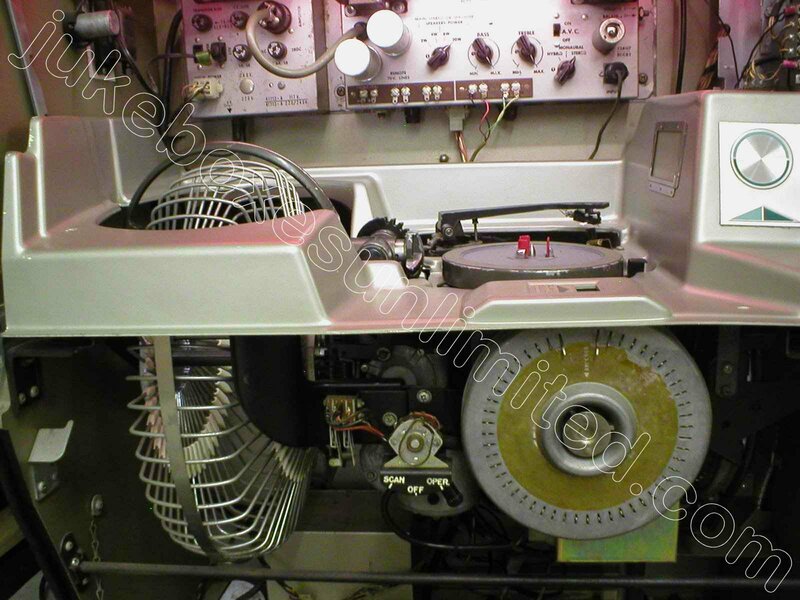 You heard correctly: 6 tunes in STEREO at 33 1/3 RPM on a 7 - inch record. That could be 350 songs! Originally this model is intended to have a remote speaker attached to it to provide stereo. We've modified it to do so with two 10 - inch full range speakers mounted, as originally, on the front door. If lack of floor space is your concern, then this baby is the solution. It's only 18 1/8 - inches deep. Be the first one on your block or in your state for that matter to have one of these nifty eye-catchers hanging on your pool room or apartment wall. 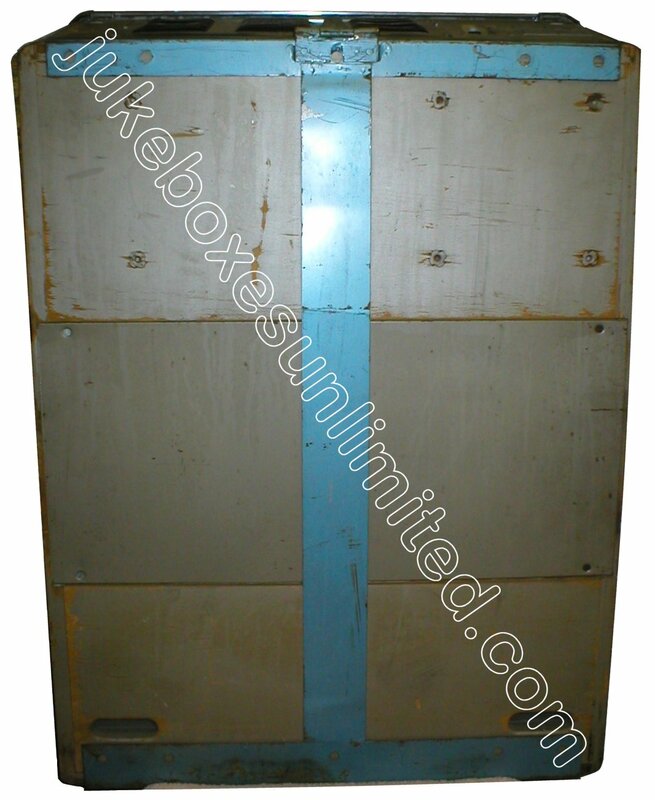 It comes with the original wall mounting bracket too! 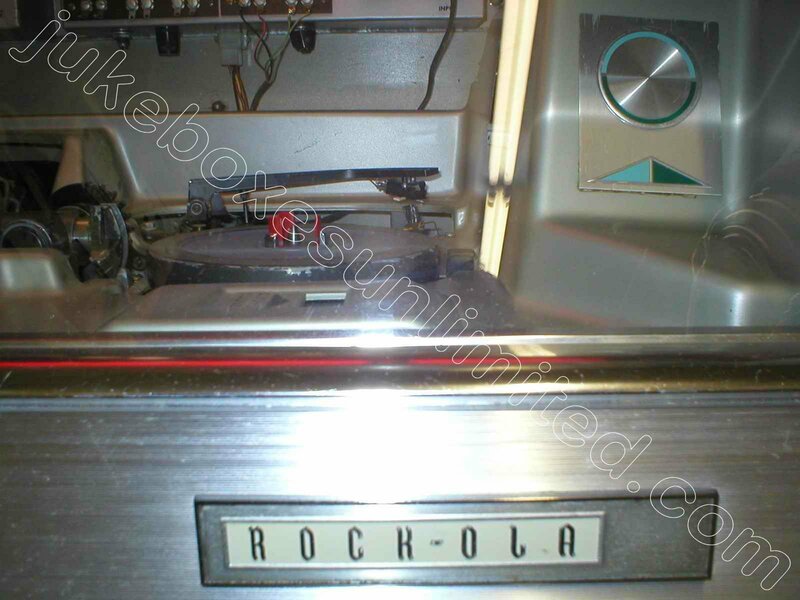 This is a professionally rebuilt/restored 1965 Rockola 45 - rpm jukebox model "430" with SN: 287712 from JUKEBOXES UNLIMITED ®/Los Angeles. 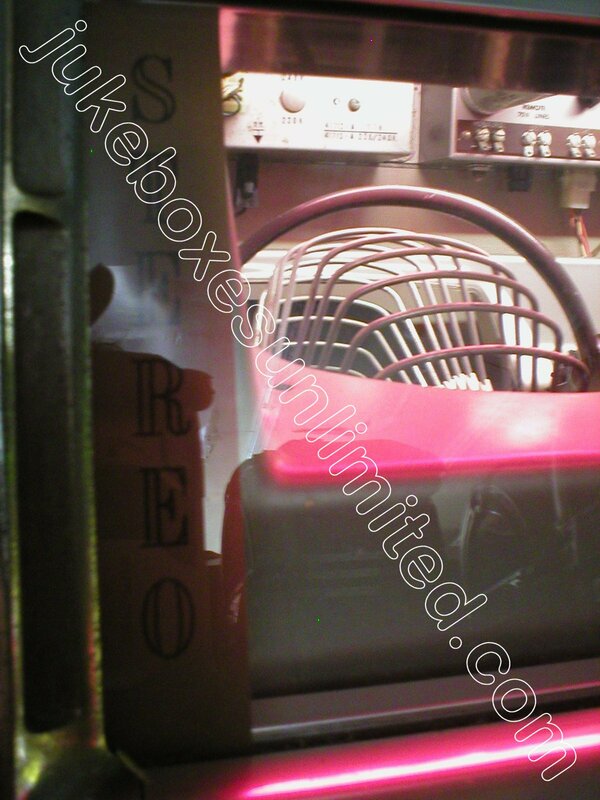 This jukebox comes with a full one year parts warranty, excluding transportation. 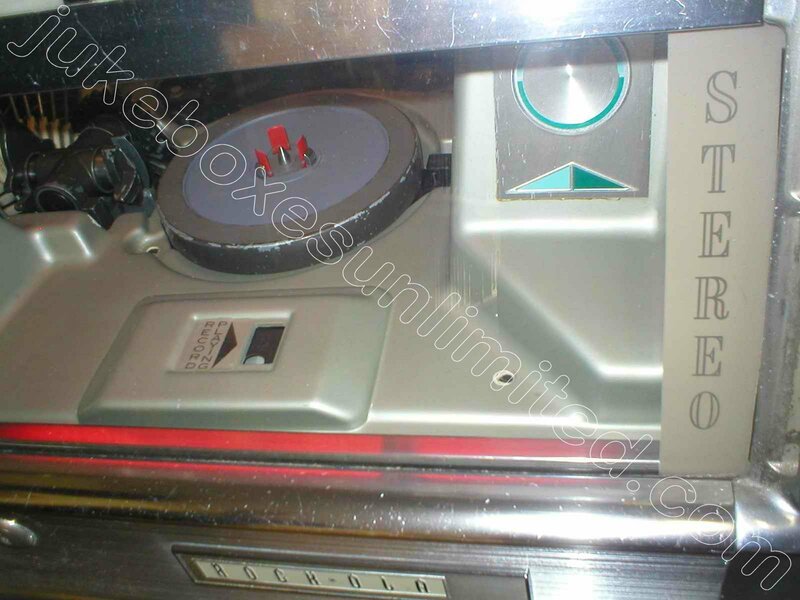 This jukebox is not perfect and may have blemishes and cosmetic distractions not visible in the accompanying photos.